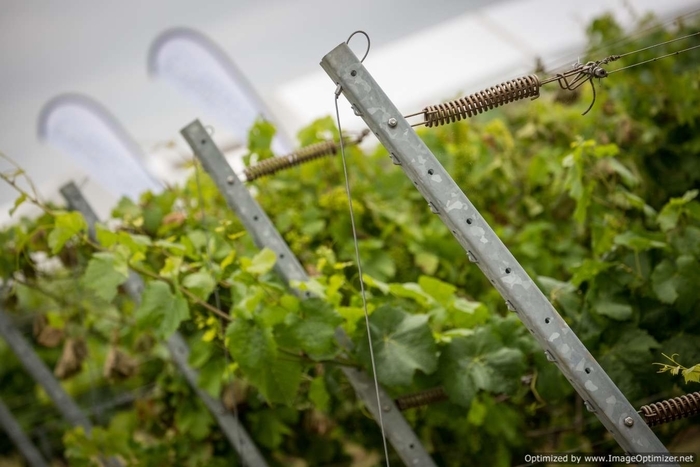 The hottest topics will be discussed at this year’s Fruit Focus event, giving producers the lowdown on effective labour management, Brexit resilience and robotics of the future. 10.00: Building resilience before Brexit. With Ali Capper (NFU horticulture board chairman) and Nick von Westenholz (NFU director of EU exit and international trade). This session will include an update on agricultural policy and its likely impact on horticultural businesses. It will also focus on labour strategy and ideas for building resilience and mitigating the effect of Brexit on production and profitability. 11.00: The robots are coming, or are they? With Ali Capper, Debbie Wilson (AHDB head of horticulture knowledge exchange) and Edward Herbert (Founder of Dogtooth Technologies). With the increasing use of robotic technology in fruit growing, the second forum of the day will explore whether agri-tech could be the answer to protecting and developing fruit production. Discussions will consider the funding and need for agri-tech in horticulture, and how it could help growers to cope with future market volatility and impacts of Brexit. 12.00: Are you the employer of choice for workers post Brexit? Recruitment and retention 2019. With Dave Back (BD Compliance) and Colin Hall (50 Club). Sponsored by HOPS Labour Solutions. Finding and retaining labour is high on the agenda for many growers, so this forum will explore how to recruit and attract seasonal workers with the right incentives. 13.00: Precision growing of soft fruit – new innovations and technologies to enhance crop productivity, resilience and quality. With Dr Mark Else, NIAB EMR. Improving crop productivity is a key area for growers and NIAB EMR will be discussing the precision growing of soft fruit, encompassing new innovations and technologies to enhance crop productivity, resilience and quality with. He will consider how precision growing, imaging and harvesting systems, informed by new mathematical models, can optimise yields and quality in an environmentally and socially acceptable way. 14.00: Economic viability of viticulture. With David Parkinson from WineGB and James Dodson from VineWorks. English viticulture and wine production is on the rise, with English wine releases reaching a record high in 2017, it’s still vital to keep on top of the latest market trends. David Parkinson will be providing the results from a recent industry economic survey, which will deliver information on the expected growth of the sector and current market movements. Mr Dodson will help open doors to new entrants by discussing ways to enter the sector as well as site selection and climate, business planning and how to avoid some common mistakes. Fruit Focus takes place on Wednesday 25th July 2018 at East Malling, Kent. Book your tickets at http://www.fruitfocus.co.uk.